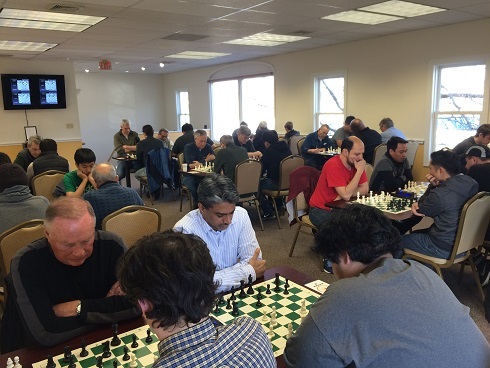 This year’s annual speed chess tournament was yet another rousing success. 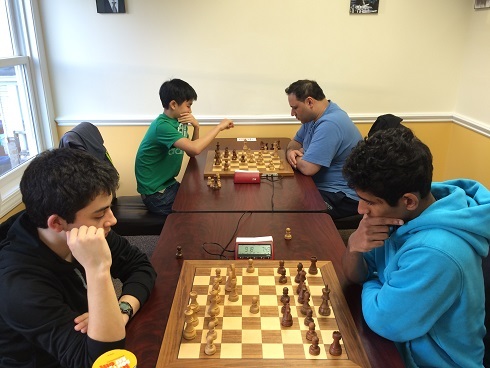 With a record attendance that nearly sold out the chess club and nine rounds of fighting chess, there was no shortage of entertaining games and over the board heroics. 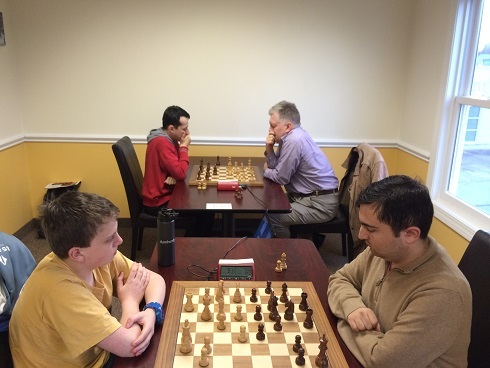 Top seeded Grandmaster Aleksandr Lenderman and National Master Hans Niemann led the tournament from start to finish. 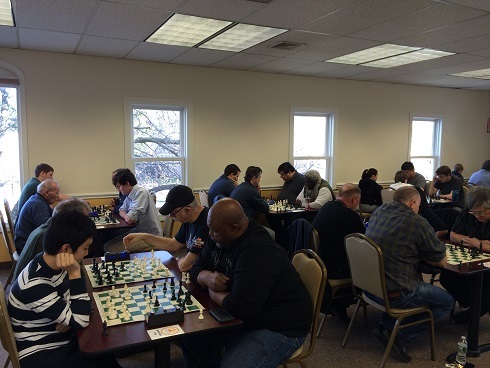 None of the many masters that were nipping at their heels were able to slow them down as they put on a nearly flawless display of speed chess. By the end of the day they tied a point ahead of the rest of the field with a final tally of 7.5/9 each. Both players took home $400 for their efforts! 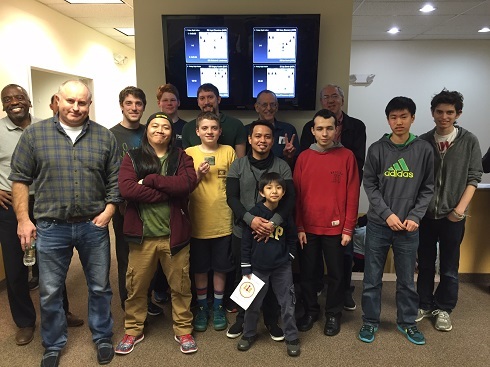 GM Sergey Kudrin, NM Yoon-Young Kim and FM Rico Salimbagat tied for 3rd and the U2400 prize with 6.5/9 earning $134 each. 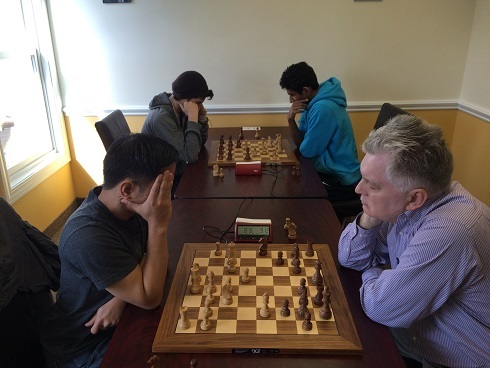 The U2200 prize was split between Michael Adarlo and CCFC regular Alex Eydelman, with 5.5/9. Just behind with 5/9 were Andrew Rogozinski, Al Lasser, and Liam Kaufman whose outstanding performances was enough to split the U2000 prize for $67 each. Benjamin Trent and Ryan Wantroba won the U1800 and U1600 prizes respectively and each took home $200! CCFC Owner Melvin Patrick thanked all the players and passed out prizes to participants who travelled the furthest and who had the largest carpool. As always it was another memorable event that continues to grow and attract some of the brightest stars in the region.